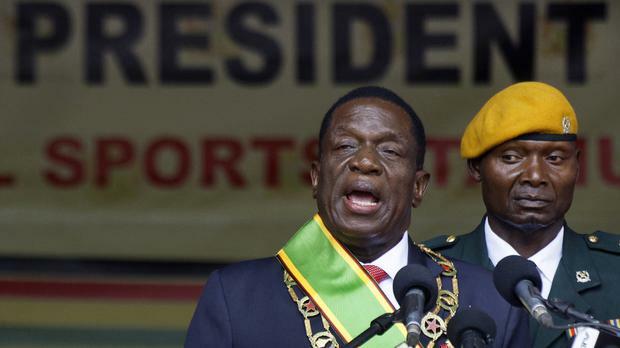 Zimbabwe's new president said his government will unveil a "robust" re-engagement policy and open the country to foreign investment following years of isolation. Emmerson Mnangagwa also promised "zero tolerance" against corruption to boost the country's troubled economy as he made his first State of the Nation address since taking power last month after long-time leader Robert Mugabe's resignation. Under Mr Mugabe, the once-prosperous southern African nation became a pariah as the United States and others imposed sanctions over rights abuses. Laws threatening confiscation of foreign-owned businesses kept investment at bay. Mr Mnangagwa said Zimbabwe's "strict" visa regime will be relaxed to attract investors. He will visit South Africa on Thursday to meet potential investors. The new leader will also urge businesses to show restraint after a massive spike in food prices in recent weeks.